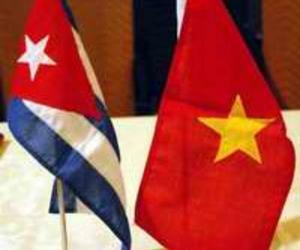 Cuban Construction Minister René Mesa, who is on an official visit to Vietnam, held talks with his counterpart Pham Hong Ha in Hanoi. The two ministers discussed the possibility of strengthening the relations in the field of construction, which is of paramount importance to Cuba in order to develop its infrastructure. The Cuban minister explained that Cuba needs access to construction materials to face their growing demand due to the investments made in tourism and to develop industrial areas. Cuba and Vietnam are working to create a joint venture company to produce toilets, wall and floor tiles in Cuba. It is also studying Vietnamese experiences in cement production, with some 90 million tons output annually, he said.